Rock-Salt-Stone sprays life-preserving salt through the hard realities of rocks, stones, and rockstones used as anchors, game pieces, or weapons. The manuscript travels through Africa, the Caribbean, and the USA, including cultures and varieties of English from all of those places. The poems center the experience of the outsider, whether she is an immigrant, a woman, or queer. Sometimes direct, sometimes abstract, these poems engage different structures, forms, and experiences while addressing the sharp realities of family, sexuality, and immigration. 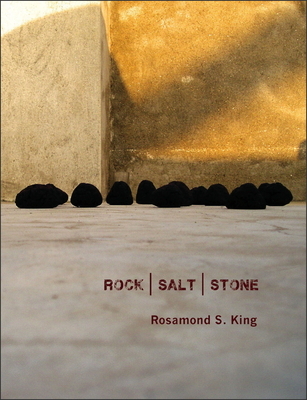 ROSAMOND S. KING is a creative and critical writer, performer, and artist. She is the author of the critical book Island Bodies: Transgressive Sexualities in the Caribbean Imagination. She is an associate professor of English at Brooklyn College.